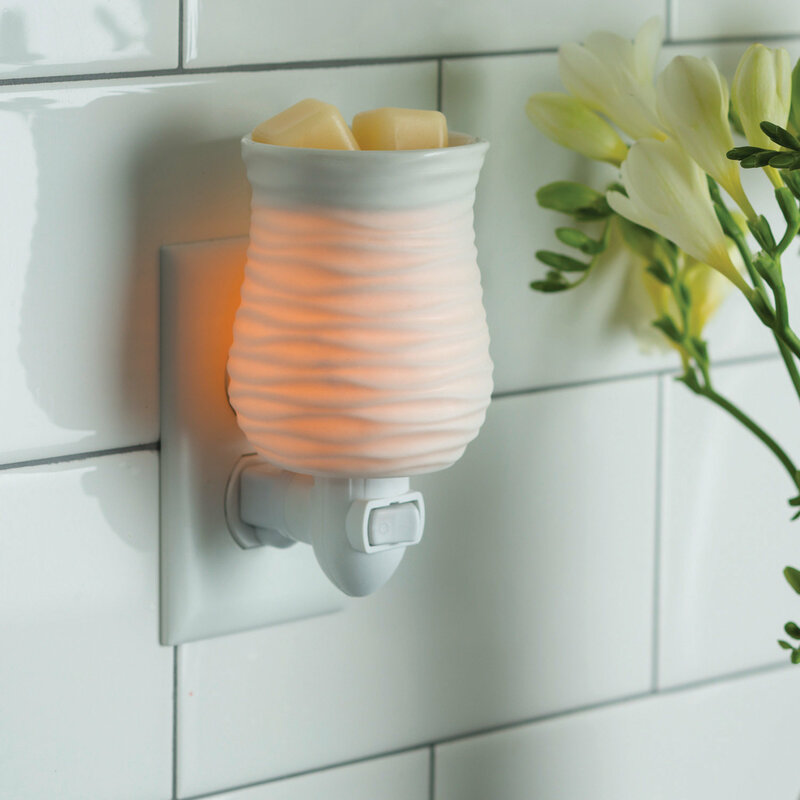 Gentle waves and an ivory matte finish give the Harmony Pluggable a modern feel. 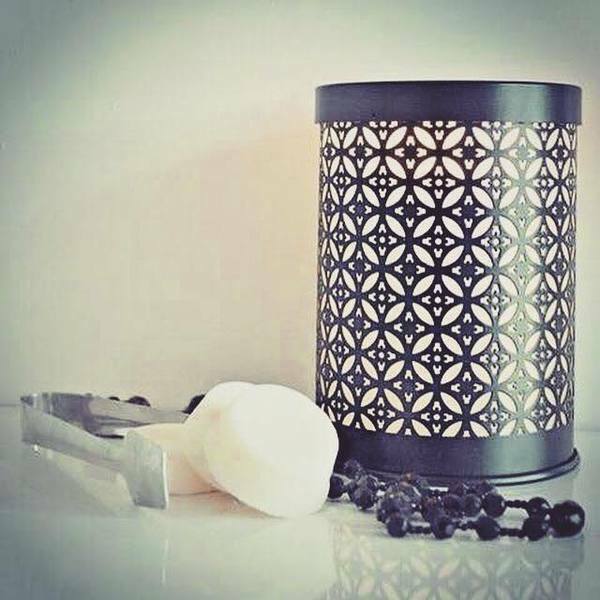 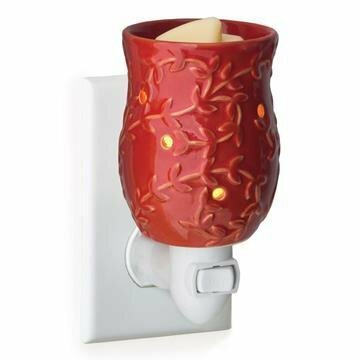 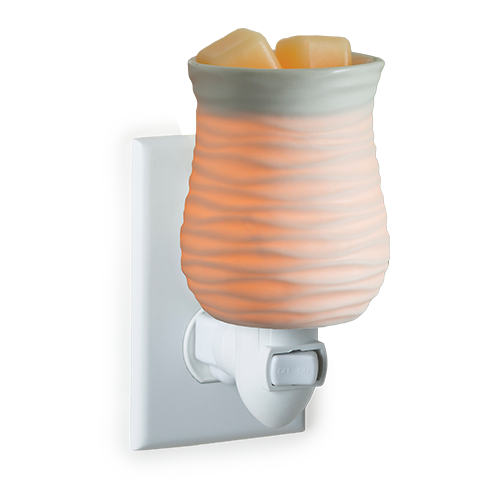 Naturally Nerine’s Pluggable Fragrance Warmers can be used in vertical outlets, making them ideal above counter outlets in small rooms and spaces. 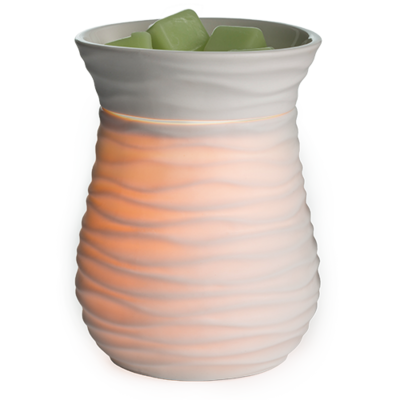 The soft glow of the halogen bulb creates the ambiance and fragrance of a lit candle, without flame, soot, or other pollutants.